Electrical outlets provide such constant, convenient use that it can be easy to forget that they carry an electrical current that is protected only by a thin layer of rigid plastic that covers the inner metal parts of the outlet receptacle. Over time, the plastic faces of an outlet can dry out and crack, and it's likely that you've continued to use an outlet even when the plastic has a crack or two, never really considering the possible danger. Cracking is particularly likely on old outlets, which were manufactured from hard bakelite, an early form of plastic that is very brittle. Here's a look at the hazards you can be exposed to if some of those plastic parts are cracked or missing. Quite commonly, the plastic right around the outlet slots can crack, and pieces can even chip away. Eventually, this piece of plastic can fall out completely and expose the metal contact points inside the outlet. Cracked faces also can expose the user to loose terminals and loose connection points for the cords that plug into them. All of these hazards present a shock risk and a potential fire hazard. If you see an outlet in this condition, don't use it until you replace the receptacle. The outlet cover plate is an important safety device because it covers everything in the electrical box, including the electrical terminals (screws) on the sides of the outlet and the bare ends of the circuit wires. Touching these can give you a powerful shock. Cover plates also help to stabilize the outlets. When a cover is cracked the outlet can shift around within the electrical box, leading to loose wires and premature wear on the outlet. Although you can't see it from the front, if the solid plastic body or backplate of the outlet is cracked, the wiring and inner contacts can be exposed within the electrical box and cause a short circuit. If the box is metal, the exposed hot wire can short out on the box and trip the circuit breaker, shutting the circuit off—but usually not until sparks have flown and there is a loud "pop." If you happen to be touching the box at the time, you'll get a shock, too. Loose wires in any type of box or anywhere in an electrical circuit presents a serious fire risk. 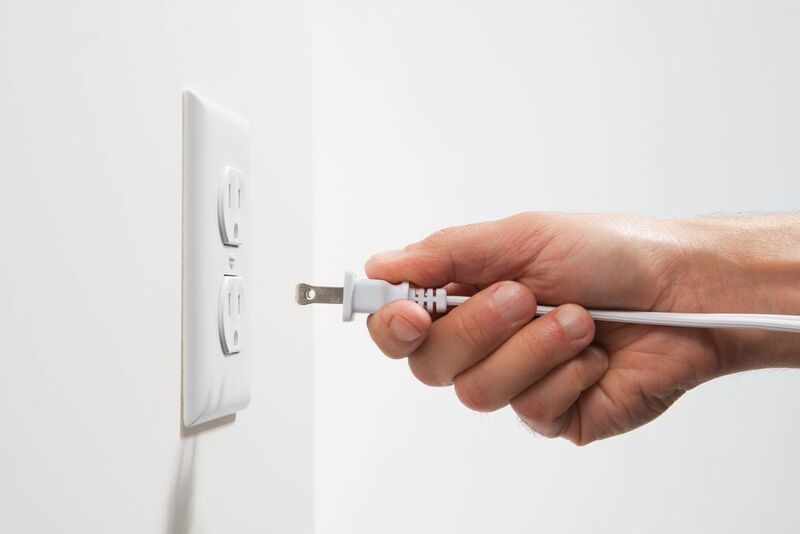 Whether due to cracks in the outlet face or simply wear and tear, outlets that don't securely hold the prongs on electrical cord plugs are another common problem. What this means is that the electrical contacts within the outlet have lost their tension and are failing to grip the plug prongs as they are supposed to. If the plug slips out partway, it can be quite dangerous, since the energized metal prongs are exposed. If you have a bad outlet, don't hesitate to replace it with a new one. Wiring an outlet isn't hard to do yourself, but make sure you understand the process before attempting it. You may also have a GFCI (ground-fault circuit interrupter) outlet that needs replacing. GFCIs are an important part of your home's safety, and replacing one is also an easy project.